Located on a plateau high above the city of Tucson in 93 acres with secluded paths and terraces where a waterfall cascades 80 feet down from the Catalina Mountains to feed a shimmering lake. 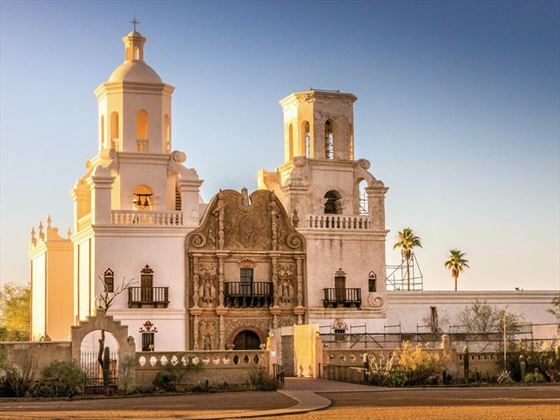 Tucson has a number of family-focused attractions that include the Children’s Museum, the El Presidio Historic District and The Fox Tucson Theatre. The Arizona-Sonora Desert Museum is a must-see for any visitor, being a zoo, a natural history museum and botanical gardens. Tucson enjoys its desert temperatures and sees average summer highs of 38°C in June and July. Winter lows can reach an average of 4°C in January and December. 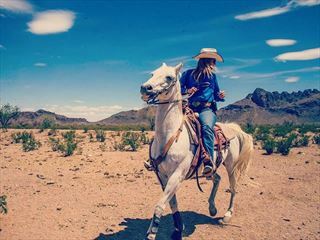 The four-star Tanque Verde Ranch Hotel is a relaxing destination, nestled in the foothills of the Rincon and Catalina mountains. The 4*+ Loews Ventana Canyon Resort is has 398 rooms and has fantastic views over the Catalina foothills. Planning a holiday to Tucson? If you are planning a holiday toTucson, AZ, American Sky can help you to organise your perfect holiday. Call our Arizona Specialists now. You are just one phone call away from making the most of your next holiday.